The Matta Fair is a 3-day event which has since earned the title of Malaysia's No.1 Travel Fair from the Malaysia Book of Records is back again on September 2012. 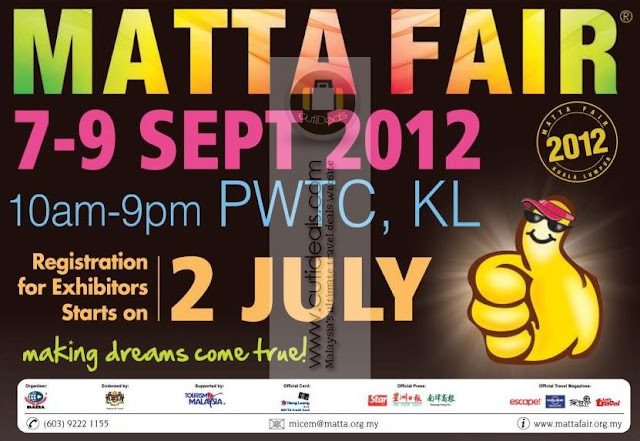 The main objective of the formation of the MATTA FAIR is to provide a platform for MATTA (Malaysian Association of Tour and Travel Agents) members to have easier access to the public at large and also for the public to fulfill their travel needs all under one roof. Book and mark your calendar NOW to enjoy special promotions and discount prices of Flight + Hotels + Packages + Tours and redeem a lot of freebies when you purchase any packages during the 3 days travel fair. So don't miss out !! THE MOST HUMANE PRISON IN THE WORLD !